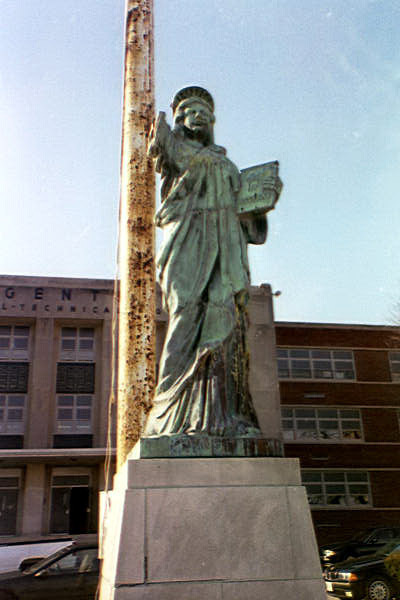 The statues are approximately 8 1/2 feet tall without the base, constructed of sheet copper, weigh 290 pounds, and originally cost $350 plus freight. Maryland had two of them. This one was in front of Mervo until it was destroyed and sold as scrap by the contractor. The other is supposedly in Belair.